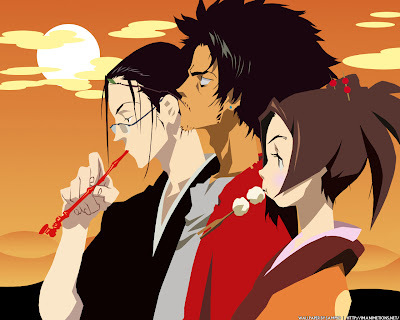 John Kenneth Muir's Reflections on Cult Movies and Classic TV: Ask JKM a Question # 65: Anime? “Been enjoying your blog for quite some time, but I have noticed something. Your recent mentions of "Speed Racer" and "Voltron" are some of the few references to Japanese animation I see on your site. Now I know that not all of the anime out there would be your cup of tea, but the medium has some excellent science fiction, fantasy, and horror entries. Some have had a great influence on current films and television series. For example the 1995 film version of "Ghost in the Shell" very much influenced the look and themes of "The Matrix". Or something like the 1998 "Perfect Blue" could easily be a prototype for the film "Black Swan" in themes, visuals and story. There are plenty of others out there. Roman, that’s a great question. In truth, I boast mostly a passing familiarity with anime. Growing up, I watched Battle of the Planets, Star Blazers (my favorite), and Voltron. A few years back, my dear friend (and editor at Powys Media), Mateo gave me the entire box set of Neon Genesis Evangelion as a gift and I loved it. I’ve also seen Akira and Ghost in the Shell. I have nothing against anime at all, and indeed, I have enjoyed much of what I have viewed. My overriding concern is that I don’t feel well-versed enough in the history, context, and the techniques of the form to write trenchant, or perhaps even adequate criticism regarding it. I’m afraid I would miss the mark. 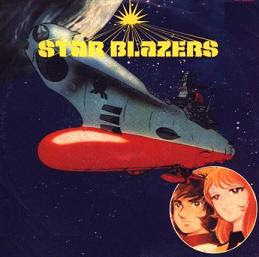 On the other hand, I have indeed had plans for some time to re-visit and possibly blog all of Star Blazers (season one) as a starting point for an anime project because that’s more my comfort zone. It’s something from the 1970s; something I saw as a kid; outer space oriented; and something I have a high-degree of familiarity with. What do you think? Am I being silly? Should I just dive in and let the pieces fall where they may? On the other hand, perhaps I should start with a simple question. Is there a good book out there that lays the groundwork for the techniques, themes, and artistic approaches in anime that could form a basis for a learning foundation? Personally I welcome your assessment of anime. I say dive in and apply your insight and wisdom accordingly. Certainly there are plenty of books. I have enjoyed a few. I think Anime Classics Zettai offers a nice look at some of the best 100. I also enjoyed the more collegiate level book Robot Ghosts And Wired Dreams: Japanese Science Fiction From Origins To Anime [the anime equivalent of Back To Frank Black]. I would love to see you cover Starblazers Season One. I would love that. Whatever you decide, but I think applying your understanding of science fiction, character drama and motivation should be more than enough. I too loved NGE and would recommend Ergo Proxy. Thank you so much, SFF, for those encouraging words. You are a good friend. I have read all of your anime posts, and enjoyed them tremendously. You have a vast knowledge on the subject. I am going to look for the books you mentioned to help fill some of the gaps in my knowledge. NGE is wonderful, and I'm a huge Star Blazers fan, but my knowledge doesn't go much further than that. I'll see if I can change that. Also, I just want to say how much I have been enjoying your posts on Fringe! Why thanks John. Always a pleasure to read your work here each week. Prophecy was just one of the many highlights and I'm sorry I have not found time to comment more often. Please know I am working on establishing my own cloning facility. Cheers my friend. sff. Both Battle of the Planets and Star Blazers were impressive when I first saw them as a boy in the late '70s. The emotional character development of Star Blazers really made a mark on me. This may seem incredibly obvious, but seeing as I didn't see you mention it - have you seen Cowboy Bebop? If there has ever been a better example of the potential anime has I have yet to see it. The well-drawn the characters, the deeply layered imagery and symbolism that is almost ever-present, the unbelievable art direction and peerless soundtrack... it really is one of a kind. I urge anyone who is in two minds about anime as a medium to watch the first 5-6 episodes at least. Great to hear John. I'd love to read more your input on some anime. I think starting with "Star Blazers" would be great. I'm part of the Robotech generation, so I wouldn't mind seeing your thoughts on that show too. I think you'd really enjoy it, especially after you dig into the history of the series and how the whole thing came to North American TV. I specifically mentioned "Ghost in the Shell" because I know of you appreciation of "The Matrix". You'll find a lot of visuals that inspired the live action film. But "Ghost in the Shell" is excellent on it's own, and well worth watching. As far as horror movies and series. Check out "Perfect Blue" for something along the lines of "Black Swan" and David Lynch. In fact any of the movies and series by director Satoshi Kon would appeal to the David Lynch fan in you. If you're curious about Kon, check out my blog. I've done reviews for nearly all his work. Along the same lines is the series "Boogiepop Phantom". Yeah the name is stupid sounding, but the series is a wonderfully dark and twisted puzzle. Each episode builds on a larger story while also focusing on a new main character. One of my favorite series from the 1990s, and maybe my favorite horror anime. Good to hear you enjoyed NGE. Still one of my favorites. I've run into some nasty backlash against the series lately. So it's nice to read some positive feedback on it. Thanks so much for responding to my email! Great question Roman and I've always found The Matrix connection to GITS to be incredibly deep. The Matrix makes you realize GITS should be a live action no-brainer when it drew so much from that anime film. I think a great live action movie could be made based off the film version of GITS. But at the time GITS came out (1995) I don't think the state of special effects could do it justice (without going way over budget). I think the innovations in special effects brought about by the "Star Wars" prequels have changed that. But for the year it came out animation was the perfect medium for that story. Hell, I believe animation could and should be used more frequently to tell sci-fi and fantasy stories. Just need to get Hollywood off the idea that animation is only good for audiences younger than 12. You should check out the works of Yoshiyuki Tomino sometime.